FanDuel ties DraftKings for 5 stars atop the daily fantasy world. 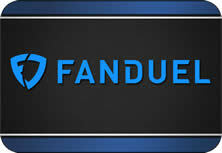 FanDuel remains the largest daily fantasy site in terms of player base and runs a smooth operation with fast payouts, huge promotions and 5 FREE Contest Entries when signing up. If FanDuel is 1A, then DraftKings is 1B - you should have accounts at both sites and try them out for yourself to see which you prefer. We rate DraftKings with 5 stars. 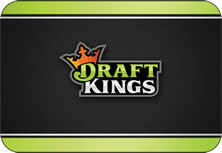 When it comes to daily fantasy sports site reviews, DraftKings.com is one of the best in the industry. We love the huge cash prizes and promotions they offer as well as the exclusive FREE contest entry that our players get with 1st deposit. Customer support and software interface are also top notch. 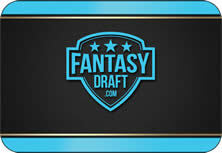 With DraftKings accelerating growth, they should be the 2nd site you join. What makes Fantasy Draft stand out amongst all daily fantasy sports sites is their player referral program called "6 Degrees of Pay". FantasyDraft.com thinks that allowing the players "share" in the site's revenue, by allowing all players to refer friends in a 6-tier program, will lead to a domino effect to bring players to play at Fantasy Draft exclusively. Admittedly, their site is nice and they have the financial backing to be big. New Site - Review Coming Soon! When reading a Daily Fantasy Sports Site Review, there are certain things you should look for so you can find the top sites that suit your fantasy needs. 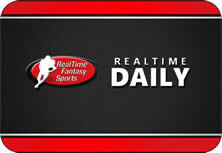 The Sports That Are Offered - Some daily fantasy sports sites specialize in certain sports more than others. Some sites only offer certain sports. When reading a review, take note of the list of sports, then visit the site and see if the site has promotions for that sport. The Rating - Each daily fantasy sports site review will rate the site and describe why we have given the site it's rating. Unless the site has 3-5 stars, you should be cautious when playing or depositing. Contact support and try to get a feel for whether you trust them with your money or if they suit your fantasy sports needs. Promo Code and Bonus - Using a promo code is simply FREE extra money in your wallet. Remember when reading our daily fantasy sports site reviews to list the bonus amount and the promo code. Write it down. Remember, if you don't use the code - you won't get your bonus and you lose free cash. Enjoy our list of reviews of the top daily fantasy sports sites. Remember to test each site out for yourself before playing for big bucks so that you can make up your own mind as to which site suits your style of game.